CIRCULAPAR: Circulation enhancer. Relief of cold clammy feet, numbness of limbs, painful calves upon walking, muscular weakness of the lower extremeties. DRAINPAR: For the sudden desire to urinate, lowered metabolism, cough, dry and croupy, abdominal bloating, constipation, alternating with diarrhea. 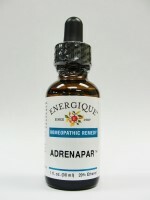 ENDOPAR: Endocrine balancer - For temporary relief of nervous exhaustion, mentally sluggish, easily fatigued, weak pulse, cold hands and feet, and muscular exhaustion. ENDOPAR F: Female Hormonal balancer - For temporary relief of menstrual pain and cramps, pain immediately prior to menses, sore breasts associated with menstruation. ENDOPAR M: Male Hormone Enhancer - For temporary relief of male hormonal imbalance. HEPAPAR: Liver support, digestion. For temporary relief of abdominal boating and soreness, constipation alternating with diarrhea. LYMPHAPAR: Lymph drainage, spleen support - For temporary relief of swollen tonsils or sore throat, and swollen irritated breasts prior to menses. HYPOTHALMUPAR: Hypothalamus, pituitary, pineal support - For temporary relief of weakness, exhaustion and vertigo, and difficult mental concentration. OCCULAPAR: Eye support, prevention of cataracts and glaucoma. Relief of minor inflammation and pressure in the eyes, burning and swelling of eyelids. PARATHYROPAR: Parathyroid dysfunction, balances calcium metabolism. For relief of weakness of extremities, cramps in the calves, swelling of joints, sensitivity to cold, worse in winter. RENAPAR: Relief of sudden desire to urinate, urination difficult and scanty, frequent urging of urination. SPLEENPAR: Spleen support, immune system support - For the temporary relief of weakness, weariness and flu-like symptoms. THYROPAR: For relief of exhaustion and heaviness of the body, lowered metabolism, cough dry, croupy, difficulty swallowing and swollen throat. THYRODINE: Potassium iodine supplement. Just one drop provides you with 210 mcg of iodine.